When it comes to transferring money, there’s little to no reason to suffer through clunky, unresponsive apps run by companies with anti-consumer practices at the heart of their business model. There are plenty of apps out there run by organisations with a better handle on money management that are more than willing to help their customers send and receive funds without making a trek to the local Western Union as it seems like every financial institution is testing the waters when it comes to online fund transfers. 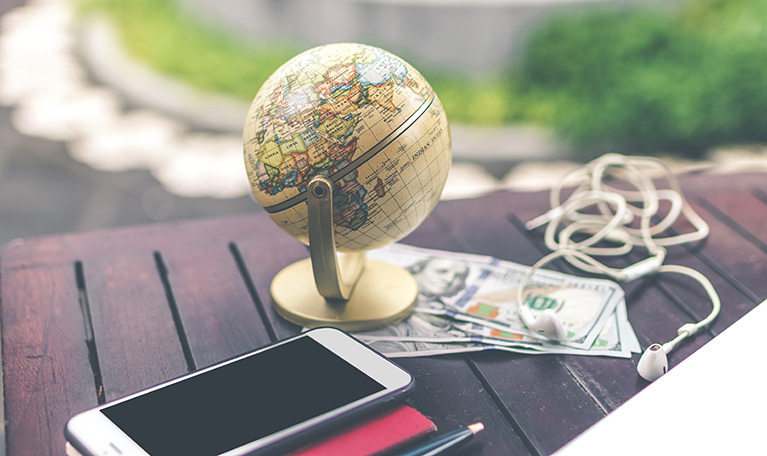 Before you send off your hard-earned money to another country, you’ll probably want to brush up on what makes different apps so competitive. Generally speaking, different apps will compete on different criteria that can be boiled down to a few key departments. For most users, you’ll likely be concerned about the speed at which a transfer takes place, exchange rates for your transfer, fees taken out of your transfers and the customer service level provided by the app. Apps have the benefit of generally boasting faster transfer schedules than you might get while using a bank transfer service with the flexibility of receiving deliveries to non-direct bank accounts. On the other hand, they likely won’t quite meet up to the speed of Western Union transfers or direct wires, but those often have sizeable surcharges attached and may not use ideal transfer rates. Exchange rates and fees matter most when it comes to getting as much of your money as possible from your phone to your intended recipient. Almost every service uses different conversion methods for currency exchanges and it may behove you to shop between service providers before sending larger transfers. Finally, customer service is something of a mixed bag depending on whether you are the sender or the recipient of any theoretical funds. For instance, PayPal is a well-established service that often sides with the sender in the case of money transfer disputes, but are also known to freeze funds and accounts when suspicious transactions occur whether legitimate or otherwise. Sometimes you just can’t get through to a human who is willing to help outside of strict corporate policies. That’s simply no place to be when you need your money free and clear. With that in mind, here are a few of the most promising apps with various strengths and weaknesses for you to consider before your next transaction, big or small. OFX has a few unique ups and downs when it comes to international transfers; For starters, there are no processing fees no matter how big or small your transfer is, which is something of a rarity. That lack of a fee comes with a fairly low minimum transfer but those transfers can only be performed between banks, which might be a point of difficulty for some as they do not accept credit cards. You’ll also likely have to wait a few days for your money to reach its recipient, so it’s not built for speed. Xoom, a subsidiary of PayPal, offers international transfers with speed advantages that can occur in mere minutes, depending on local time zones and banking hours of operation. You’ll wind up paying a premium to see your transfers through that quickly, as they generally charge a few percentage points higher than mid-market rates when it comes to transfers. How much you wind up paying depends on where you send money to, so if you’re trying to pay off a debt in a fairly small country, chances are you’re either going to be hemorrhaging from the wallet if you can send a transfer at all. If you have financial business to conduct on a regular basis, TransferWise offers ease of transfers by allowing you to save your information and the information of your recipient for repeat transactions, allowing you to repeat them with one click however often you need to send fees or funds. With upper limits many hundreds of thousands higher than a majority of other apps, it’s the sort of service that caters to businesses with a larger volume of transfers that are reasonably predictable. With yet another PayPal subsidiary on the list, Venmo is something of an outlier with enough going for it to appeal to certain businesses and private users. For starters, Venmo’s payments are closely tied to a social feed that shows when someone has used the service; It doesn’t list exact figures, but it does offer a sort of free user-based marketing by showing what those payments went towards. Business users have to go through a partnering process, however. Private users are free to send and receive funds without overhead, but payments sent via credit cards do incur a fee. PayPal users can accept Venmo payments, however, which opens it up to cross-app compatibility, which is a nice touch. Rounding out the list is a more traditional international money transfer app that focuses on mobile wallet payments sent between private individuals. Upper limits for those transfers vary between countries and there are a few that can’t receive those payments at all, but most countries can at least benefit from the unique benefit of airtime top-ups. You can both send funds and also pay for your recipient’s mobile phone airtime to ensure you’re in constant contact, making it an attractive option for clients and recipients who are occasionally hard to reach. Regardless of how you choose to send funds, chances are there is a mobile app that can get your money where it needs to be within any time frame or acceptable fee schedule for nearly any user. You may have to make concessions for speed or ease of customer service, but you’ll never be left without multiple avenues for international money transfers.